The first Sunday after the first full moon of spring is when Floral Easter is celebrated and the days preceding this are known as Setmana Santa, Holy Week, and in Ontinyent there are solemn processions throughout the week which date back to at least the 15th century. All the acts during this week are regulated by a traditional brotherhood. 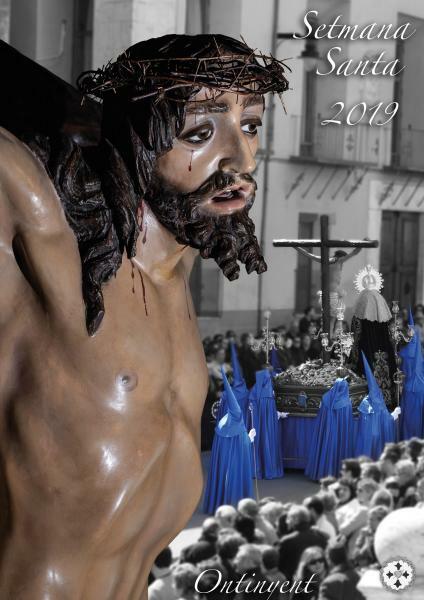 There is a complex programme of events and in recent years this festivity has become more locally influenced due to the recuperation of several customs peculiar to Ontinyent. There are currently nine brotherhoods in Ontinyent, some of which can trace their origins back to the original masonic lodges, for example L'Oració de l'Hort, Jesús a la columna i assotat pels botxins, l'Ecce Homo, La Santa Faç, el Nostre Pare Jesús Natzarét, la Dolorosa, el Crist de l'Expiració, Nostra Senyora del Patrocini, el Sant Sepulcre and la Soledat.